Only a company with aspirations to cultural hegemony like Apple could show a video at last week's Worldwide Developers Conference keynote they called “The History of Music” but which contained not a single reference or even allusion to Bach, Handel, Vivaldi, Haydn, Mozart, Beethoven, Schubert, Berlioz, Brahms, Chopin, Verdi, Wagner, Dvorak, Mahler, Debussy, Stravinsky, Bartok, Schoenberg, Berg, Copland, and so forth and et cetera. The short video would have been better titled “A Whig History of Recorded Music” for it began with the Edison phonograph and ended (of course) with Apple. Apparently it’s going to be a TV ad. It was used at the WWDC to introduce an announcement of a new music streaming service called Apple Music and an internet radio station called Beats One. I would love to say that these new products sound like they're going to be really great. But for those of us who still perversely prefer classical music to pop, these new services seem hopelessly mired in the same flaws that have plagued computer-based music distribution since its beginning. Do you remember record stores and CD stores? You might recall how these stores catered to different segments of the market. Record stores had whole different sections for pop music and classical music, as well as jazz and international and other categories. What’s more, these sections were arranged in radically different ways. People shopping for pop music want bins that are alphabetically by artist, a term that encompasses ensembles and individuals. Within the area for each artist are those artist’s albums. Each album contains a collection of songs. But people shopping for classical music want bins arranged completely differently. Classical music listeners prefer bins that are alphabeticallyl by composer, and then within each composer (or at least those of sufficient stature) a subdivision by composition. Within that subdivision are the records or CDs of the various available performances of that composition. However, when music moved to computer-based file distribution, the entire concept of “composer” and “composition” disappeared. Completely vanished. It was as if all of history's composers were led down to the dungeon and executed with a bullet to the back of the head. Sorry, Stravinsky. Bye bye, Beethoven. Instead, the model used for pop music was assumed to be applicable to everything. All the music in the world was reduced to “artists” who create “albums” that contain “songs”. This organization and terminology is completely inadequate for classical music. Of course there are songs in classical music — Schubert wrote over 600 of them — but there are many other types of compositions that are simply not songs because there’s nobody singing. Moreover, many classical compositions have multiple movements, which is another concept completely missing from computer-based music distribution. In short, computer-based music distribution simply made no allowance for the over 400 years of western music that existed prior to the pop album. People who listened to classical music were effectively deemed irrelevant. Check out that list of “classical” artists, beginning with Mariah Carey, U2, Elvis Presley, Frank Sinatra, Prince, and on and on further into WTF territory. What are they doing there? 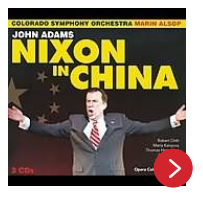 Only when you pick a classical genre do you get something a little more reasonable. But where are the composers? (Oh right, they've all been executed.) Of course, iTunes has a search facility — and I assume Apple Music will as well — but how good is a search facility that has positive hits for something as fictitious as the “Schubert Piano Concerto”? So I’m not optimistic about anything Apple is doing with music. At the WWDC announcement, we were told that the Beats One internet radio station will feature “only music that is great,” and I guess we’re supposed to be confident that Apple knows exactly what “great” music is and what it is not. Mind you, I don’t scoff at the idea of great music. Nor do I think that great music is only something that was written in the past by Bach and Brahms and Mahler. Indeed, just within the past year I attended the New York premieres of two first-rate recent compositions (Thomas Adès’ Totentanz and John Adams’ Scheherazade.2) and I experienced two recent great compositions through recordings (John Luther Adams’ Become Ocean and Julia Wolfe’s Steel Hammer). But will any of these compositions make it to Beats One? It's hardly likely! The first problem is that these compositions are not “songs,” and secondly, that they require more than three minutes of air time, and thirdly, that they each define their own sonic universe that is entirely foreign to the world of pop music. Will anything even be played on Beats One that doesn’t include a drum set? Isn’t it called Beats One because all the really “great” music has a drum beat? This problem builds upon itself: The more that music distribution services exclude classical music, the less chance that people have of searching out this music, and consequently the less demand exists, and the more justification these companies have in excluding it in the future. So screw them. Fortunately, there is now a solution for the rest of us. For over a decade ArkivMusic.com has been the shining city on a hill for listeners of classical music. (It is now owned by Steinway.) ArkivMusic knows exactly how we want to shop for music, and it provides extensive Browse facilities based primarily on composers and compositions, but also conductors, ensembles, performers, and even labels. Once you’ve subscribed, just click the arrow and start listening. It’s not perfect. It shut down on me the other day. And apparently it’s not yet ready for mobile devices. But ArkivMusic has provided a music streaming service that actually has some respect for those of us who still persist in listening to classical music despite Apple and the rest of the world telling us that it simply doesn’t deserve to exist.